Stringing wire There are 4 products. 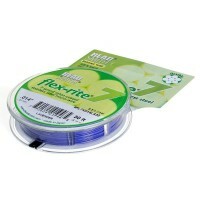 LAVENDER BLUE Beadalon 7 Strand jewelry wire is made up of 7 strands of stainless steel beading wire incorporated within a protective, abrasion resistant and flexible nylon coating. 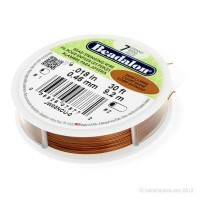 COPPER SATIN Beadalon 7 Strand jewelry wire is made up of 7 strands of stainless steel beading wire incorporated within a protective, abrasion resistant and flexible nylon coating. 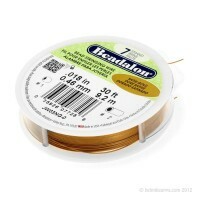 GOLD SATIN Beadalon 7 Strand jewelry wire is made up of 7 strands of stainless steel beading wire incorporated within a protective, abrasion resistant and flexible nylon coating.